Our majors have the chance to be considered for awards granted to high-achieving junior and senior Economics majors by the Department of Economics. These awards include monetary prizes totaling approximately $28,500. This scholarship is named for Robert Johnson, a 1988 graduate of the Department of Economics. This award is presented to an Economics major in their senior year who has demonstrated academic excellence throughout their studies or shown an outstanding level of academic improvement throughout their undergraduate career. The inaugural winner of this award, which began in 2017, is Stewart Rivers. This scholarship is named in honor of Arlie Williams, a longtime member of the Economics faculty, who excelled as both researcher and teacher, and served as director of undergraduate studies for almost 20 years. This award honors Arlie for the many students he taught, advised, and mentored through his distinguished career in the department. The award is given to an Economics major who has demonstrated academic excellence in their coursework at IU. The inaugural winner of this award, which began in 2017, is Adrian Wolanski. This is an endowed scholarship awarded to an outstanding Economics or Business Economics major in his/her senior year that has been nominated for the award by the department chairs from the Department of Economics and the Kelley School of Business, Department of Business Economics and Public Policy. This scholarship is named for Robert A Buccieri Jr, a 1984 graduate of the Department of Economics. This award is presented to an Economics major who is a sophomore or junior who has documented financial need and who has demonstrated academic excellence throughout their studies. Mr. Buccieri feels strongly that students should be encouraged to pursue academic excellence. The James E. Moffat Scholarship Recognition Award recognizes outstanding performance by juniors or seniors in the Economics department. The Mr. and Mrs. Harold E. Strow Award is given to an outstanding student with a major or minor in Economics. The Carroll Christenson Award goes to an outstanding junior or senior Economics major who has demonstrated an ability to master the technical content of modern economics. 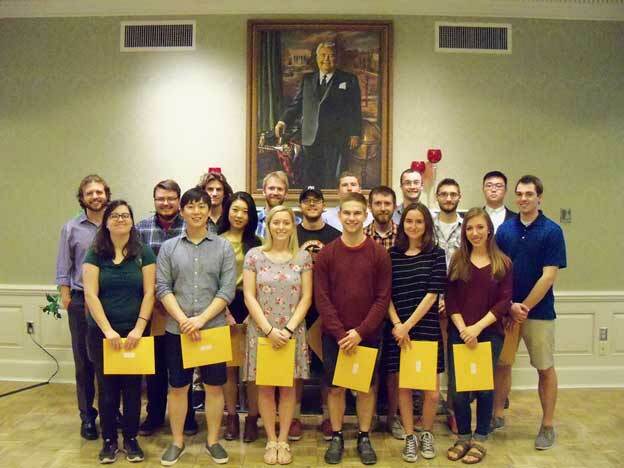 The Department of Economics Distinguished Scholar Award honors Economics majors who have consistently exhibited the highest level of excellence in Economics courses, as well as outstanding overall scholarship across the College curriculum. The James E. Moffat Outstanding Senior Award is given to recognize the department's most outstanding senior who has exhibited overall academic excellence and, in particular, scholarship in Economics. The Carrington Scholarship recognizes academically excellent undergraduate students and encourages other students to pursue and succeed in the rigorous and intellectually-challenging academic study of Economics. The Department of Economics is honored that one of our seniors is the recipient of the Stadelmann Scholarship. 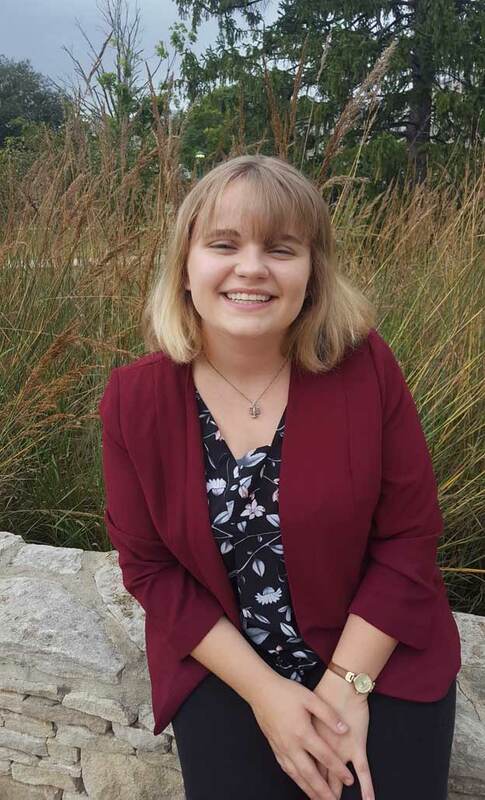 Emma Sperry graduated in May 2017 with majors in Economics, Mathematics, and Sociology. She minored in Native American Indigenous Studies. She is the founding president of the new Indiana University Women in Economics (WiEcon) group. We asked Emma to reflect on winning the Stadelmann Scholarship and her plans after graduation. Congratulations to our undergraduate award winners at the annual Department of Economics Awards Reception held in April 2017.